Admissions are on and we welcome you to be an Integralite!!! IUET provides a common yard stick to measure the potentials of all applicants that might come from different backgrounds and curriculums against a standardized set of skills that would be required to obtain a seat at Integral. It will provide Integral’s admission counselors with a clear cut measure that is effective, in trying to assess a candidate’s ability to join the program of their own choice. 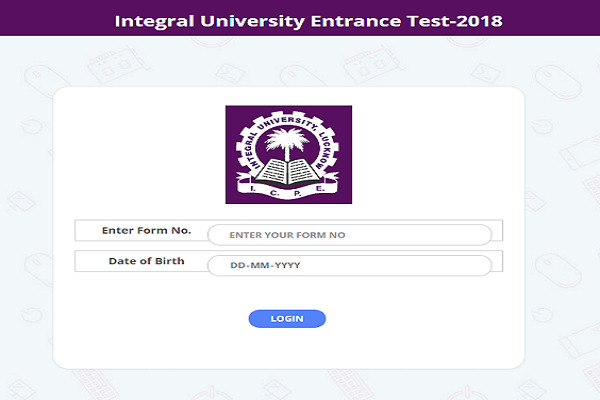 IUET-2019 is an online test carrying multiple choice questions to be held in the University campus. The duration of the test will be 90 minutes and it will be held on every Monday from 10:00 a.m. to 11:30 a.m. The exam results are important and students should be well prepared. The world is very competitive and exams are just a part of the entire admissions criteria. Integral takes a holistic view of the student and even non academic criteria can be critical in getting or denying an admission. The student’s academic scores and extracurricular activities are equally important. IUET would be a good source of gauging the conceptual approach of students especially when they have just passed out the famous boards exams where memorization plays the key role while IUET are made on such a pattern where the intelligence of students is checked. Candidates who have qualified JEE(MAINS)/JEE (ADVANCE)/UPSEE/ CMAT/UPCATET/AMUEEE/Uni-GAUGE/State Level Engineering Entrance Exams across India & Entrance Exams conducted by the prominent universities are exempted from IUET-2019. Such candidates are required to submit the relevant Score Card for availing exemption. Moreover there are still many non-test courses in which the previous scores would suffice. 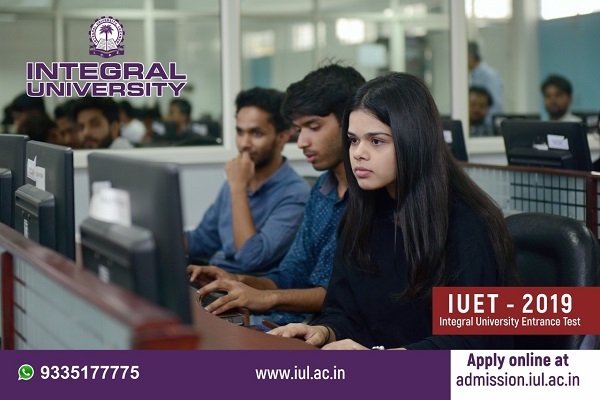 Welcome to being an Integralite, Appear in IUET and win your credibility to acquire admission in our reputed university. It is NOT a burden but a triumph to achieve your seat @Integral on the basis of your ability. Best wishes!! !